Posted September 16, 2014 & filed under LKCS. 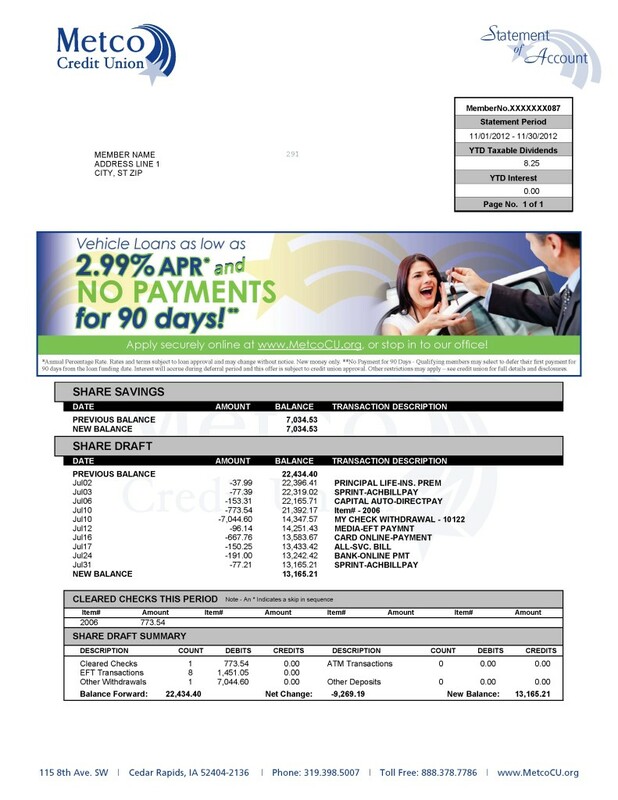 LKCS provides Sharetec credit unions with the ability to handle off-site statement printing as well as the ability to embed targeted, graphical marketing ads directly into their statements. These transpromo statement marketing capabilities have proven to be tremendously successful for credit unions at a fraction of the cost of other marketing options. LKCS can prepare statements in just about any format or layout imaginable. By adding relevant messages, you can piggyback targeted promotions and advertising onto existing transaction-related documents, such as statements. Using a series of statement onsets sent out over a period of months/quarters, LKCS provides the ability to cross – sell additional products and services to specific groups of account holders. LKCS teams up with Sharetec to provide statement marketing through E-Statements. Inserts can be delivered with E-Statements as well as banner ads with links to web pages or PDFs. Campaigns can be set up for all account holders or for selective accounts. LKCS received a score 98% on their last customer satisfaction survey.